Hey everyone. We decided to throw this short list with interesting tech products that will make a great gift. Hope you enjoy it. So, this holiday gift guide is for the people interest in technology and in the same time excited by the opportunity to learn while tinker and hack electronic stuff. We tried to include more gadgets, DIY kits, and components that will make them look for solutions while solve some problem. The guide also has some useful devices that will make their life easier. We hope you find something useful for you or your loved ones. Perfect Christmas present if you want to get young or tech savvy people interested in web programming. It is and interesting topic and with the help of a simple book and couple of software applications you will empower the person to create cool stuff on the web, and not just mindlessly browse it. This is a beautiful book about learning web programming and website creation from experts in the field. 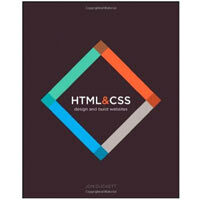 The books goes trough all the major topics necessary for designing, programming and launching a simple website. Good read for beginners wanting to dive in the vast and interesting world of web development. 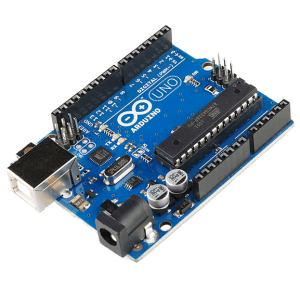 Arduino is an open microcontroller platform for crating electronic prototypes that has software and hardware part. A microcontroller is a circuit board that has a chip on it, that can be programmed to do many different things – read information from photo resistor which is sensitive to light or detect when someone walks into a room with a motion sensor or even use GPS receiver to get the location. Arduino makes a great gift for any electronics or robotics enthusiast. This is the SunFounder 37 for Arduino. A kit that has a lot of cool sensors inside. And if you are not familiar with the world of seansors – these devices will detect and output valuable signals directly by connecting to Arduino board. The kit pack has a little book with a bunch of different projects that will be helpful to Arduino beginners. 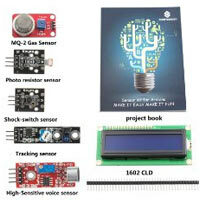 The sensor kit includes 37 different sensors, LCD display, and remote control. 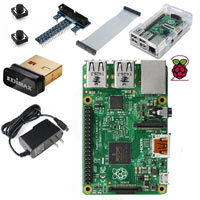 Similar to Arduino pack this Raspberry Pi kit has all the necessary parts to start a lots of interesting projects. With over 40 components, including the PI board itself. This is the perfect Christmas gift for any young boy or girl who wants to learn about computers. The kit comes with 200 page paper guidebook that walks you through many engaging projects. 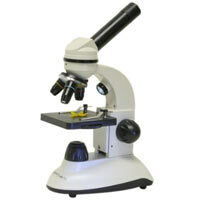 This is a great gift and great first microscope for any science loving person. It is very durable, easy to use, contains quality optics, and you are getting an extremely high quality piece of equipment for low price. The microscope is specially designed and developed to allow young scientists, to examine specimens such as blood cells or tissue. 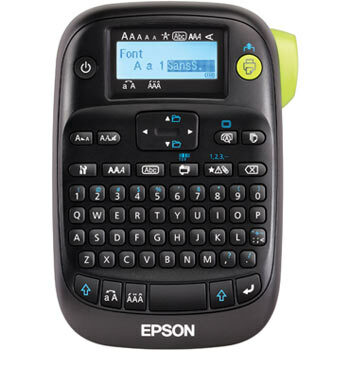 This is a small mobile label printer perfect for filer organizing, storage and equipment identification. It’s perfect for labeling your equipment boxes. It runs on 6 x AA batters as well as an AC adapter. Automatic power off saves energy and it only weighs around 400g making it easy to handle. This is a thermal printer so instead of using things like ink or toner, it prints on thermo tape. The tapes for this machine come in various colours, sizes and finishes like black on white, and black on yellow. Helpful gadget fot tech geeks with lost of stored equipment. With Makey Makey you can turn the whole world into a keyboard. It’s a simple Invention Kit for people interested in mixing art with engineering. It is a simple idea with quality execution. It works by replacing the keyboard buttons with anything conductive and by pressing the conducive material you are actually pressing keyboard buttons. It is amazing kit for electronic rookies. With this microscope‘s precision five element infrared reducing glass lens and true 5-megapixel imaging sensor, specimens like minerals insects, stamps, and circuit board come into sharp focus on your laptop or desktop computer. Included inside is a micro Capture Pro software for Mac or Windows based PC. 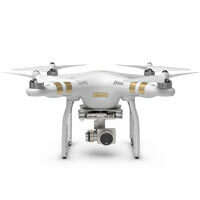 It is a powerful tool for capturing high-resolution images, PGA video, time-lapse animations, and more. Let’s face it weather enthusiast love outdoors. And probably a lot of them love music. The Turtle Shell is quality product that covers both needs. This Hi-Fi speaker wirelessly connects to any mobile device with latest Bluetooth technology and in the same time to give a crystal clear audio. The biggest benefits of the device are the rugged, dustproof, shockproof, and highly water-resistant features build onto it. Grab this complete DIY kit that allows you to build your own fully-working & customizable 35mm SLR camera! Put it together and you’ll be all set to start shooting fantastic analogue film photos. The kit also includes two close-up lenses and a magnifying chimney hood for quick & easy focusing. 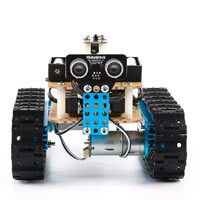 The Makeblock starter robot kid is a great choice for those who are interested in learning robotics, electronics, Arduino and scratch programs. This kit contains about forty different mechanical parts, electronic modules and accessories including two pieces a DC motor, one piece of Orion based Arduino Uno, one piece ultra sonic sensor, IR receiver, remote controller, and some other beams and tools. With the detailed instructions you can easily build a cool robot tank or three-wheeled robot car, bring you to the ultra awesome robot world. This device is especially friendly for the beginners wanting to dive into robotics. Build your own robot with this starter kit. GoPiGo is a delightful and complete robot kit for Raspberry PI. It is very easy to start up and very easy to use – a great tool for robotics beginners. The device brings together power supply motors and navigation (sensors) to make Raspberry Pi mobile. Each robot will come with fully assemble circuit board, chasses, motor and batteries. You have to simply assembled the body, add the batteries, and secure the Pi on the board. The project comes with example programs, so anyone can join easily. The body is strong and can withstand multiple falls and hits. Installing this will provide the single best upgrade to improve PC performance. This drive has incredible read and write speed to improve every day working experience. 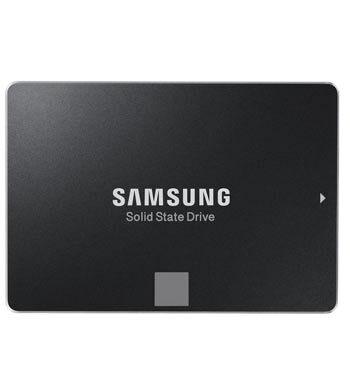 Samsung drives are very reliable and maintain long term performance. Not to mention the 5 year limited warranty that comes with the drive. The device is equipped with AES 256 encryption engine that protects your data at all times. All the necessary utilities – for transferring and installing come with the drive. If you want to make a computer buff happy this is a perfect gift for them. The Swiss Champ is by far the most useful knife in the Swiss army knife range. 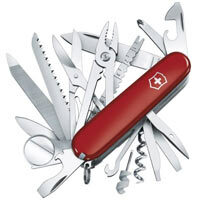 It comes with standard blades most Swiss army knives come – the small and large. In addition you will have a magnifying glass with other tools like – bottle openers, screwdrivers, wire cutter, wood saw, fish scalar, hook disgorger and other. The best part – it comes with life time guarantee. 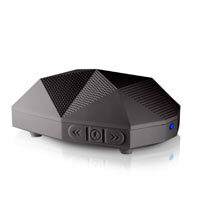 For people regularly going outdoors that want the convenience of limitless power supply. This solar charger provides 14 watts, enough to charge two devices at once. The panels are very rugged and are faced with industrial-grade PET plastic. 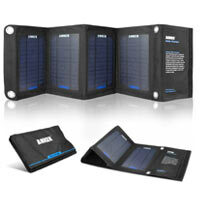 This makes the solar array very durable and water resistant. The folding capability gives minimum footprint while packing your gear. It is compatible with multiple USB charged devices. Perfect gift for people that need their devices available at all times. 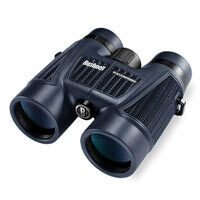 Superb binocular pack that include a case, neck strap, eyepiece cover, and attached lens covers. But what we really loved about this model is that Bushnell made a very affordable rough Prism waterproof binocular with losts of value for any outdoor enthusiasts. It’s got a great rubber coating on top, and great texture for grip. Overall a very good tool for just about any use. These binoculars feature twist-up eyepieces, simple central focus knob an objective lens covers that stay on so you don’t lose them. If you want to show your kids the world of computing and programming this might be the best gift for them. It has fantastic interactive wizard for beginners. 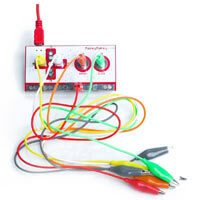 This kit gives countless possibilities for kids that are eager to learn experience and develop. 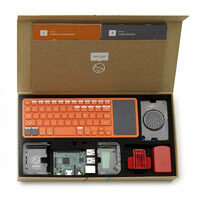 The pack includes all the main things a computer system needs – the brain itself – a Raspberry PI computer, keyboard with touch pad, Wi-Fi dongle, speaker, SD card with operating system (Kano OS) and power supply. Is you need a good set of basic home tools that are convenient and at affordable price – the Denaly 115 has all the things needed. 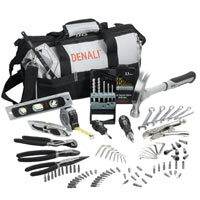 With the extensive set of every day tools the Denaly 115 is perfect present for many tech loving enthusiast. It comes with ratcheting screwdriver handle and thoughtful touches like the soft-grip rubber cover on the tape measure to ensure a comfortable, secure hold. It also includes hammer, level, tape measure, utility knife, pliers, screw drivers, and drill bits. Even more, the tool kit is stored in a rugged carrying bag for easy transport. 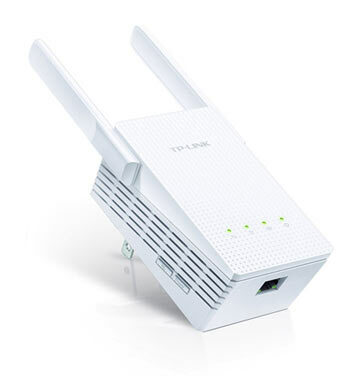 Using devices such as TP-LINK RE210 can be the best way to increase the range of your home or office network. The extension can become quite easy and can be performed by non-specialists, something that is often a problem if you decide to use a standard wireless router for the same purpose. So it is easy to configure, relocation is not a problem, just grab the device and move it to another location inside your home. The extender delivers a very strong signal. It is excellent wireless network improvement for big homes or large offices. 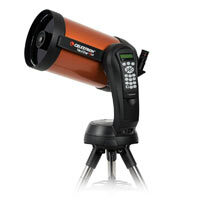 Telescope Celestron NexStar 8 SE combines the optical power and the perfection of the image with a high compactness and rich electronic equipment. 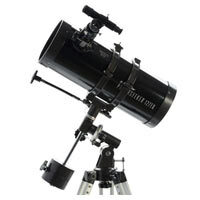 The telescope is made with Schmidt-Cassegrain mirror, providing a clear and sharp image over the entire field of view. At the same time the tube and the telescope mount are small in size, which allows you to conveniently put it on confined spaces, and at the same time easy to take it with you while travel. Celestron 127EQ is a great telescope for beginners. It also comes with the perfect size. It has finder scope for easier acquisition of targets. 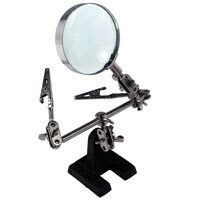 It is equipped with 1-1/4 inch eyepiece which is the standard in the industry. The magnification can be increased up to three times with a 3x Barlow lens, which comes with the telescope. The software is “The Sky,” Celestron’s astronomy software which will help the beginners to start their astronomy path. The set also includeds full color manual which makes set up and operation a breeze. If you’re looking for good, inexpensive tool to watch the stars, the Celestron PowerSeeker 127EQ Reflector Telescope is the product for you. This is another great outdoor device. 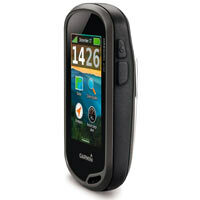 The Garmin Oregon 650 GPS-navigator is equipped with powerful processor that make the instrument very fast, and most importantly it makes the maps navigation and other functions instantaneous. You will never notice any of these things hang. The model has touchscreen display which is now possible to control even when wearing gloves. Due to anti-glare LCD screen, it can be easily seen even with very strong sunlight. The device also includes an 8 megapixel camera. The ultimate tech buff Christmas present. 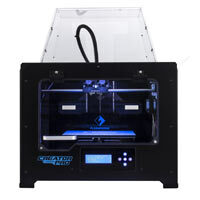 This is a great 3D printer that will deliver high quality prints all the time. And more inportantly, with much less effort than other such devices. It comes with very affordable price for such type of device. Included in the pack is a helpful instruction for setting up and making your first designs. All in all, this printer is very well made, don’t have any real issues and probably will serve you for years to come. If you want to be able to start printing right away without lots of headache, then we suggest you buy this one. 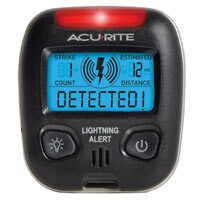 This is a pocket size Lightning Detector that gives real time information about approaching lightings and storms. If you want to have up to 30 min warnings, before the storm arrives – buy this device. This instrument is constructed to detect thunder storm activity within 25 miles distance. A warning light or audible alarm will inform you of nearby occurrences. Compact, portable, and rugged hand held weather meter perfect for model plane pilots, hikers, and other outdoor enthusiasts. It is very well build gadget which functions well and seems to be accurate. The station is small in size and very light weighted and will easily fit in your pocket. The controls are simple, easy to access, and easy to use and the backlight screen is an added bonus. Great buy for the price. The device measures wind speed, temperature, wind chill, wind gust, and has a Beaufort scale. 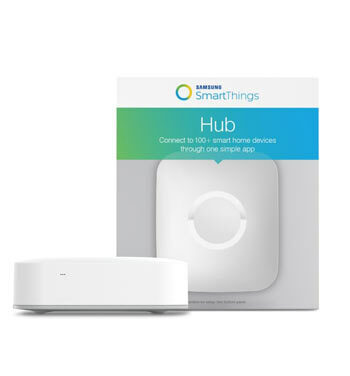 This is great device for someone starting to assemble their smart home system. It’s a controller that wirelessly connects to hundreds of compatible sensors devices and helps you manage heaters, electronic appliances, cameras, and do countless other cool operations. That’s the perfect gadget to manage, monitor, and secure homes. 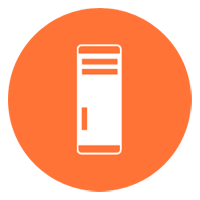 There’s an application ready to help you control the device form anywhere in the world. The hub also saves energy on the long run and it is very easy to install. For the prefect present combine with motion or multipurpose sensor. The best sleeping pad for the cold star gazing nights. The baffled internal structure provides unrivaled stability and support. The structure also helps with air warming inside the pad while you are sleeping. 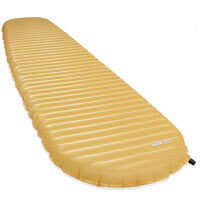 The price is a bit steep, but as we said, this is the best 3-season backpacking air mattress available on the market. 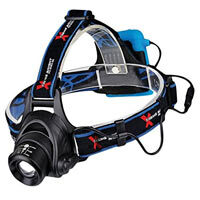 By far the brightest and most comfortable LED headlamp we have seen. The lamp is build for highest grade military aluminum. It is Perfect for hiking camping or just outdoor situation when there is no light available. It uses 4 AA batteries for more than 25 hours of use. It has lightning range of over 500 feet. The headlamp had no cords and it is fully water proof. It is 350 lumen and has higher impact resistance. Perfect gift for outdoor situations. This is a decent dual band radio for multiple uses, with a range of 5-7 km in the city, and 15 km in the wild. This device gives a fantastic value for the price it has. For fewer than forty-five bucks you are getting a dual band radio with additional feature, like- charger, earphone and mike. The radio also covers FMRS and GMRS frequencies, and receives the FM broadcast band. A flashlight is also build into the radio. SPOT messenger is a primary link for emergency life saving rescue services around the world, 24 hours a day, 365 days a year. 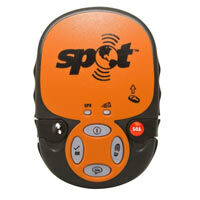 SPOT offers the user additional features, 911 rescue assistance, check in or help sent alert message to friends and loved ones, location address via Google map website address, plus optional features of Google’s tracking feature, and road side assistance. 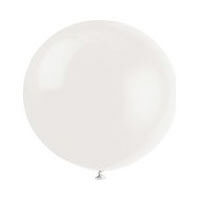 If you want balloon for extremely high altitude this is the one. This balloon is capable of reaching heights of 100,000 feet or more. It can raise payload of up to 8 pounds, so it is perfect for home weather balloon sensors project. Handle with care because the balloon can easily be punctured while inflating. This is excellent children’s kit with great value providing those early weather science lessons. The project makes children aware of the weather while educating them about how to keep track of the temperature, rain, and wind. A weather worksheet is available online for maxing the learning experience with this weather station. The bacteria kit is a collection of swabs, agar plates, plastic droppers, experiment project guide, and simple step by step instructions that will interest your kid in science. The kids are encouraged to swab everyday objects and have fun while learning about bacteria. 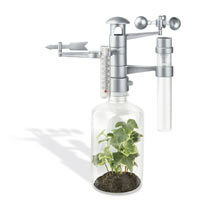 This is a great holyday gift or a science fare project. Excellent electronic radio kits that will teach anyone how to work with block diagram, identify parts like resistor and capacitors, and then solder them on the board. It is easy to do with very simple instructions. If you want to have someone learn about kit building, about electronics, and radios this is a perfect gift. 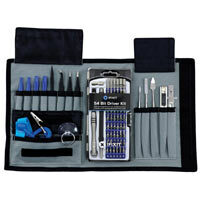 If you have a friend or know someone into mobile repairs and mobile phone tinkering, this is a perfect toolkit for them. With the 54 bit driver toolkit you get tons and tons of tools, more than you will ever need. We must say that this set is not exclusively made for cell phone repairs, but also works for people involved in all kinds of electronics. For anyone that has express interest in quadcopteres and quadcopter building. It’s a fast, powerful and fun to fly copter that is well build and with thoughtful design. 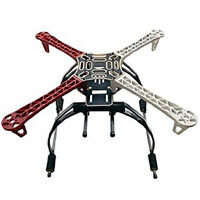 Perfect gadget for people wanting to learn basics of quadcopter assembly and navigation. Lots of info on the Web for anyone inexperienced. 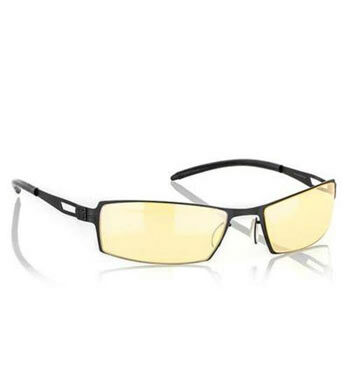 The Gunnar computer glasses are the only eyewear recommended by doctors to protect and enhance the vision of a person that stays for long periods of time in front of computer or digital screens. They are designed to filter the high energy spectrum and in the same time create softer environment for the eye to focus. The amber lens tint, anti-glare coatings and ultra-pure lens material help provide sharper, clearer vision. 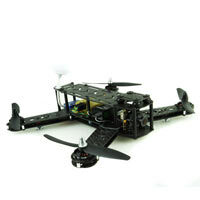 It’s another gadget for people interested in building quadcopters and not just flying one. The F450 is a good and stable beginner’s model. Build form quality material that will give you a great flying experience. To complet the project you will need a soldering iron. For people interest in math and science, this is s powerful instrument for problem solving. 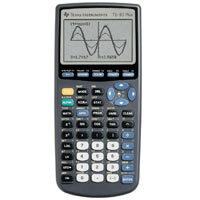 It has clear and readable display with 64×64 LCD that can display graphs and tables on split screen. The memory is able to store and analyze of up to 10 matrices. 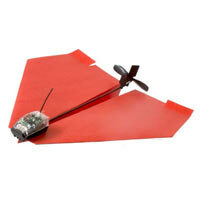 This is and RC paper plane kit that you can assemble and have fun time with your loved ones. It is superb for teaching kids principles of flight, aerodynamics and lift. The plane comes with smartphone app for controlling the flight path. A lovely tech gadget and excellent weekend project for you and your kid. 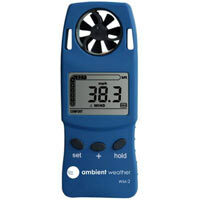 The personal home weather station is a perfect present for a person interested in weather and meteorology. With this device they can track, record, and share all of their local weather variables (temp, wind, rain, and humidity) with the world, while making friends on the countless communities around the Web. 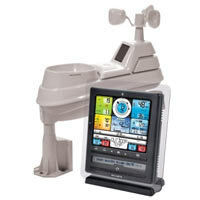 For all people obsessed with weather tracking, give them the gift of NOAA enabled weather radio. 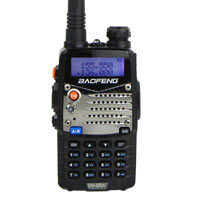 This is not a typical radio device but an instrument for emergency situation. With this red beauly you will get disaster and weather alerts without the need of conventional power source. The radios’ hand cranks gives you the option to add power even in the worst situations. A typical model is also equipped with solar panel, flashlight, and phone charger. Well priced watch that will give you all the features of high end device. For people on the go that want to have quick and rough info about the surrounding enviroment. 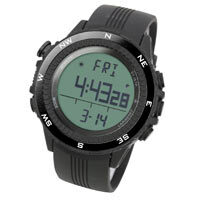 The watch has sensors like – altimeter, barometer, and thermometer. For great price you are getting light and well build watch. 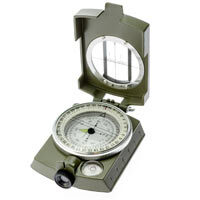 A good compass for the money that has all the main features a sighting compass must have. You are getting durable and accurate compass suitable for camping trips or your weekend outdoor activities. 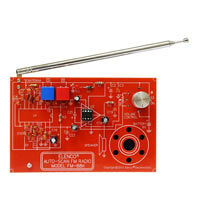 Perfect tool for people working with helicopter PCB boards, radios or robot projects. Ideal for seeing small circuits up-close when is hard to do that with your naked eyes. 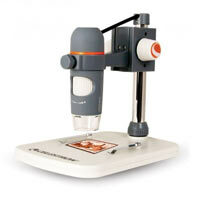 This mechanism is especially helpful for seeing fine wires and soldering and desoldering electronic components. These helping hands can be also used for other hobbies and crafts. 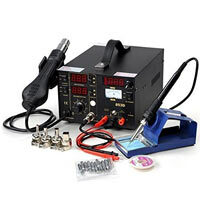 This is wll equiped and inexpensive beginner soldering station. Just the right tool for quadcopter and robot builders that don’t want so spend lots of money on expensive station. 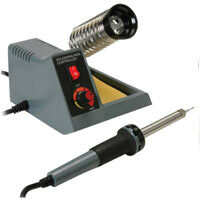 For all hobbies that require some soldering, heating or circuit power up. This is an excellent and inexpensive purchase that includes 10 iron tips, hot air, nozzles, and temperature control. Another soldering station this time a much simpler one. You will have total control over the iron heat ensuring maximum heat transfer and minimizing cold joints. It is not very big so it is ideal for kids expressing interest in electronics. With Valve’s support the guys at Alienware have created and excellent gaming machine. 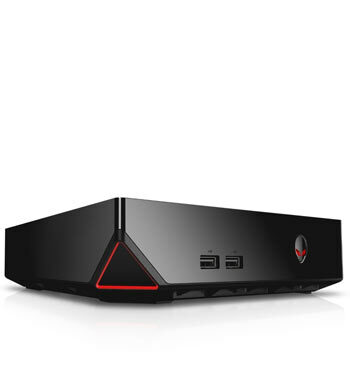 This computer system combines the freedom of the PC ecosystem and the convenience of console gaming. With the Steam Big picture software you’ll have an access to a list of countless game titles featured on Steam platform. All of this will of course be available on your home TV screen in 60 FPS, with crystal clear sound, and amazing picture. The Alienware Stem Machine has all the power necessary to play the latest game titles. Welcome to the exiting world of PC gaming. 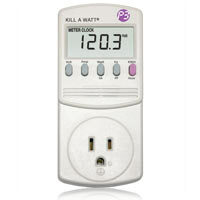 This is a little meter that you plug in any receptacle in your house and it will analyze the receptacle for you. It measures amp, watts, hertz, volt, and kilo watt per hour. This little monitor will tell you the efficiency of different appliances. It can be used best when comparing appliances. For example, it is perfect for techies and hobbyists for measuring their tools electricity consumption. Perfect gift for guys and gals that like to tinker with tech stuff where there is heat involved. It is ideal for using with motors, pumps, panels, or any other hard to reach places. 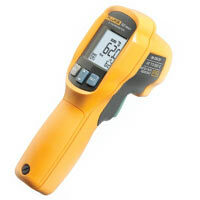 This Fluke product is small and easy-to-use infrared temperature measuring device which is very durable and accurate. This IR thermometer incorporates precise laser technology for accurate and repeatable measurements. 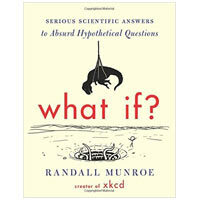 This is one of the best non-fiction books discussing science topics. It is an informative and enjoyable read as the author has delightfully mixed fun with the hard stuffs which make it almost impossible to put it down. With this book you will get a reasonable balance between Turing’s scientific work and his personal life story. 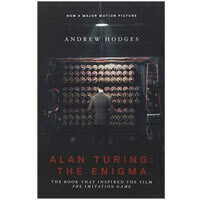 Andrew Hodges’s remarkable insight weaves Turing’s mathematical and computer work with his personal life to produce one of the best biographies of our time, and the basis of the Derek Jacobi movie Breaking the Code. We are created by our genes. We the animals exist to preserve them and are nothing more than survival machines. The world of the selfish gene is a world of fierce competition, ruthless exploitation and fraud. 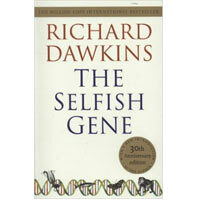 Read Richard Dawkins’ brilliant book on theory of natural selection. 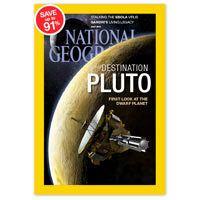 For one interested in science and travel the National Geographic magazine is the perfect gift. With incredible travel stories, science news, and superb photography the NGM will give quality time whenever you are. Now the magazine is available in both digital and print edition. 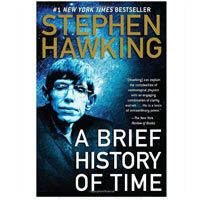 In this book Hawking make the complex topics of modern physics seem like common sense. You will learn about black holes and time travel in both comprehensive and comprehensible way. The book also includes hundreds amazing photos and illustrations. 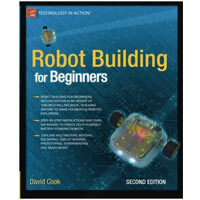 David Cook has written best beginner’s book on robot construction and other types of electronic. 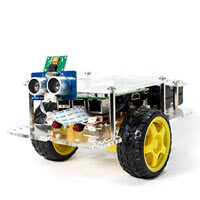 It is designed for the absolute beginner in mind and gives lessons on practical electronic and basic robot assembly. The book presents all phases of electronic construction as well as other mechanical techniques. It is well illustrated with high-quality (black and white) photographs. The oldest published popular science magazine in U.S, with engaging and interesting publications. It’s for anyone interested reading more in depth articles on topics like health, mind, tech, physics, biology, sustainability, and many more. 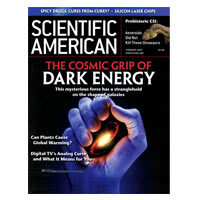 Similar to National Geographic magazine, SCIAM also has a digital and print subscription plans. You will use this over and over again we guarantee. When you activate the box a hidden “finger” will turn it off. That’s all it does – hens the useless box. A simple kit that you can buy any ware online. It is a fun little project to do while you have some free time on the weekend. It will definitely bring joy to you and your friends when done. There is something strangely addictive about it that is quite good fun. 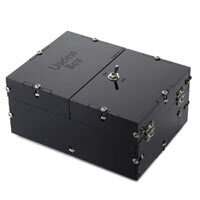 Useless Box comes unassembled with complete details how to build.